Norwegian stars of industrial music and the main rock-n-roll band of electronic scene COMBICHRIST are coming back to Russia with a special program! 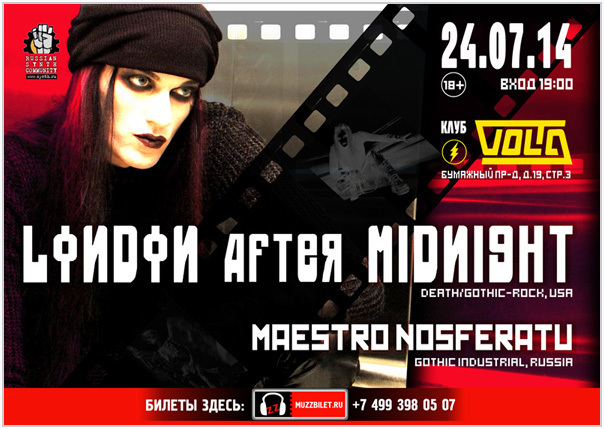 USA death-rock stars – the one and the only gothic London After Midnight – will perform in Moscow! Summer-the time of pleasure, vacations and creative laziness! 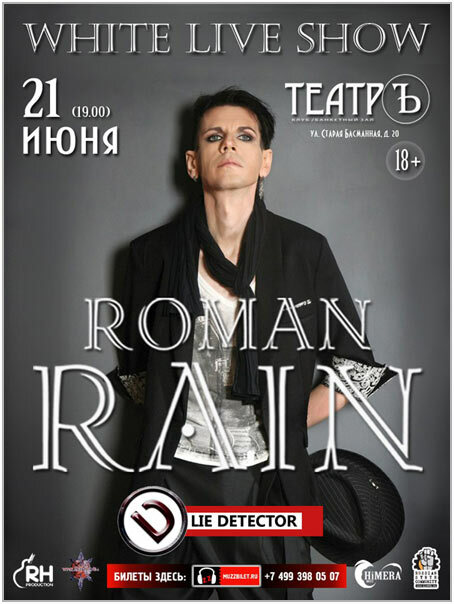 ROMAN RAIN in conjunction with the well-known Russian synth formation LIE DETECTOR open summer season of WHITE CONCERTS! 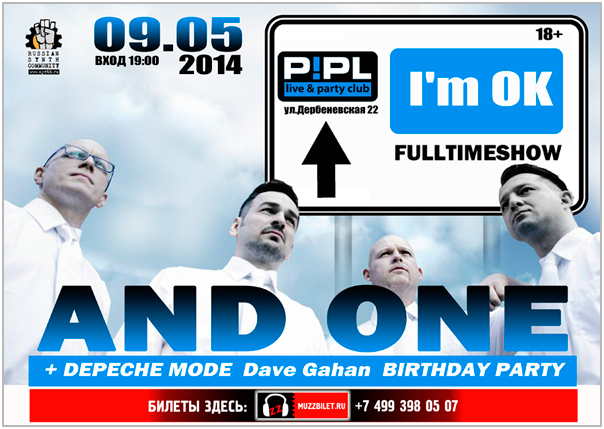 German synth-pop provokers And One will play a special program «I'm Ok Fulltime show 2014» in Moscow! 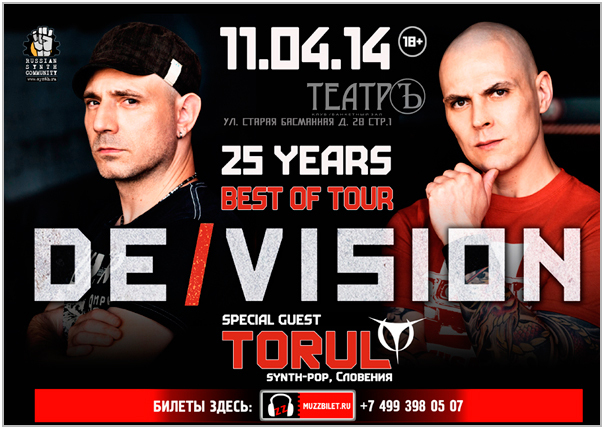 The famous German electro-duet De/Vision celebrates it’s 25th anniversary and comes back to Russia with a special 2-hours program «best of»! 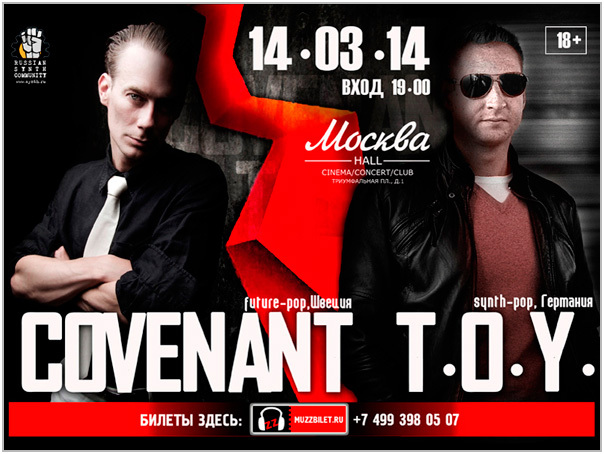 Swedish electro band Covenant is coming back to Moscow with the new album «Leaving Babylon» and Germans T.O.Y. as support band! 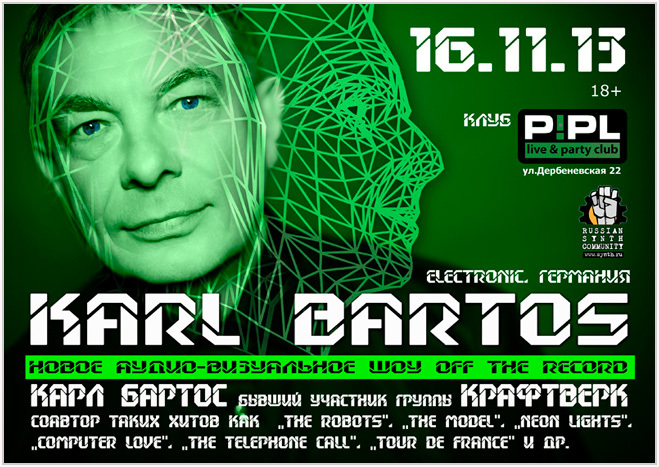 The master of electronic music, famous ex-member of German band Kraftwerk, co-author of the great albums Radio-Activity», «Trans-Europe Express», «The Man Machine» and «Tour de France» - Karl Bartos – will play a show in Moscow with new compositions, classic hits and special visual show! 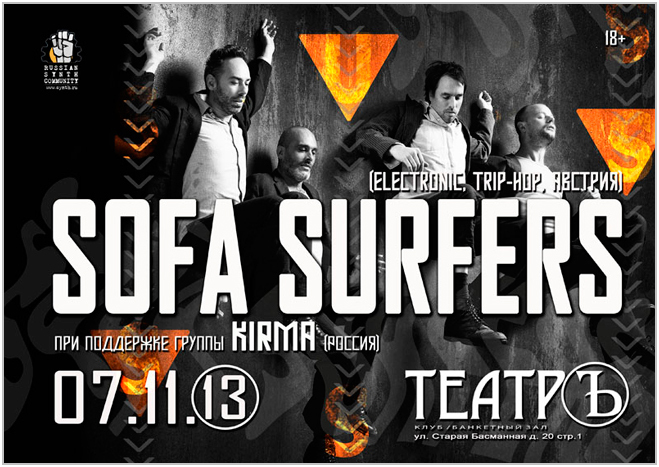 For the first time in Moscow you have a chance to see the only session of musical and visual hypnosis from trip-hoppers SOFA SURFERS!